‘I don’t know how to read, but I can count’ said Salim, ‘I was not much for school, my father put me on an old tractor when I was 12, and told me to go around in circles, till I had learned to drive’. Salim was a 20 something driver, the same age as me, when I met him in 1990. 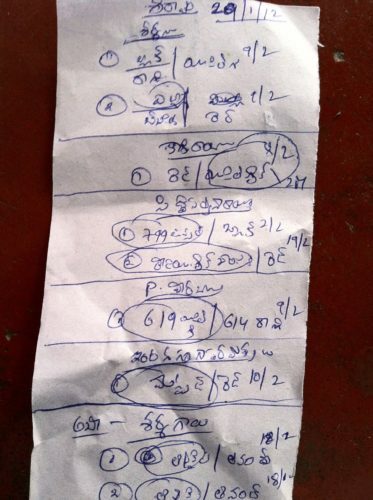 I –along with a few other socially minded engineers – was trying to decipher the recipes from a century old colonial account of dyeing using natural materials, and he was hired to drive me around the weaver villages we were visiting in rural Andhra Pradesh in South India. 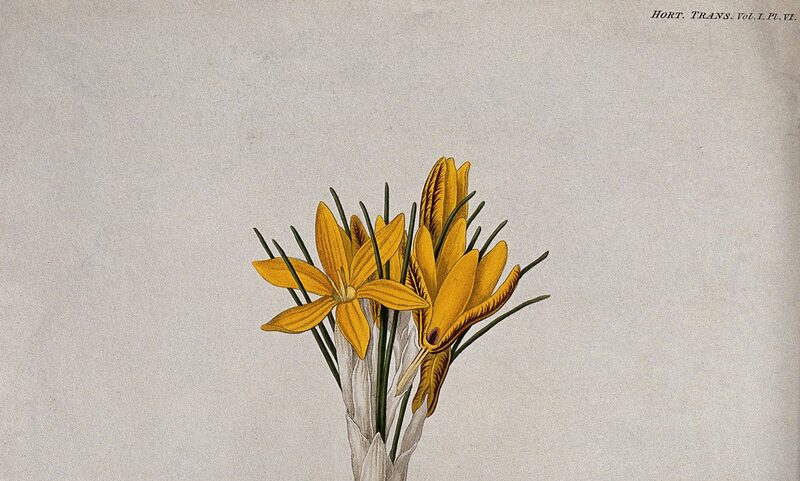 The idea was to use these recipes to bring natural dyeing practices lost over the last century back into the practice of craftspeople, in order to enter newly emerging green markets and support their livelihoods. ‘Keep the temperature around 70 degrees’ specifies the recipe. Yes, I could measure the temperature and tell when it was 70 degrees; but how to maintain a constant one? Salim smoked incessantly, yet he could blow on an open wood fire under the dyebath to keep it at a steady 70 degrees for as long as it took to extract the colour –whether yellow, brown or red. I measured and jotted down notes from his experiments, attempting to standardise a recipe that would provide fast colour across the different dyehouses, in the different villages where craftspeople were being trained to re learn natural dyeing practices. But this was an important first lesson about the material life of numbers in dyeing –they came attached with fires, smoke, dye baths, and always required a willing body to maintain them. First measure out the quantity of dye material……. ‘Weavers don’t read, why would you want to write down a recipe in English?’ Salim interrupts, with some curiosity. The recipe is a formula, I explain, and it has to hold fast wherever we use it, and whoever uses it. It can be in any language, its the numbers and reproducibility that make it technical. ‘My car is technical, but I don’t need a manual’ he jokes, even as he measures out quantities out aloud for me to write into the journal we keep of all the dye experiments. After using the recipe on the field in a series of training workshops for weavers, he makes an observation. ‘Change the recipe standard to 4.5 kg, not one kg, if you want a stardardised recipe’. I reply patiently, if they learn to calculate quantities using the standard of 1 kg, they can multiply it by 4.5 or any number they chose, that’s the whole point of a recipe. ‘But they only use the 4.5 kg standard, or multiples of it, so if you write those down in the recipe, they don’t need to learn how to calculate percentages’. He is right, I realise, all across the world of Indian cotton handloom weaving, the general measure that applies across all dyehouses, is the weight of one box of cotton yarn, the ‘peti’, standardised across all thicknesses or counts of yarn. I change the recipe; we now formulate all recipes with 4.5 kg as the base. I need a calculator to figure out how much copper sulphate we need for the recipe for Katha, each time, meanwhile, Salim is measuring it out by hand. ‘Sometimes the quality is not so good, you have to add a bit more’. The weavers agree, accuracy is about the outcome of colour, not so much the weight of material as input. Almost ten years later, Salim is a master dyer, and well on his way to acquiring the skill of dyeing Indigo, one of the most difficult colours to master. He is successful in the market, and has trained more than a hundred artisan groups, forming a large network of dyers. I continue to be the documenter of recipes, now trying to author a small booklet of recipes in the four South Indian vernacular languages, for craftspeople learning natural dye colours. ‘You tell colour by smell, put away the notebook’, he says. Yet, in Salim’s pocket is a strip of paper that can measure the pH value of a solution; ‘Checking the Indigo vat with a pH paper helps me to get a general idea of how alkaline the vat is, before I start using my nose,’ he says. He is meticulous in checking the vats every morning and evening. ‘Yellappa is a master, [the 80 year old Indigo dyer who taught Salim] he doesn’t need the paper’, he says, a little enviously, ‘he can count on his nose to tell him when the vat is ready’. We decide to leave out the recipe for Indigo from the booklet, learning to tell colour and alkalinity by smell has to be learned from the master, not with recipes. Ten years on, it is 2012, and I am theorising innovation in craft practices, as part of my PhD study –analysing the practices of dyers as socio-technical expertise. I am assailed by the smell of fermenting Indigo, as I enter the well functioning Indigo dyehouse for an interview with Salim the master dyer. 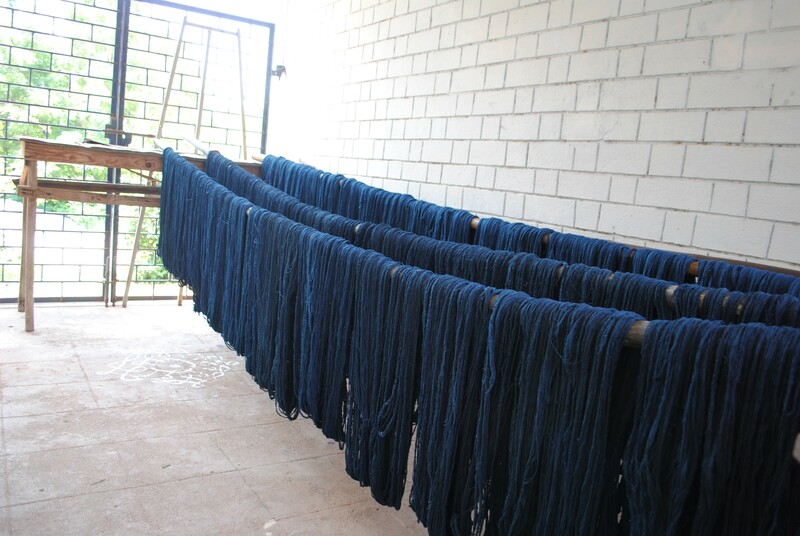 Salim is a tad more portly, and is surrounded by a bevy of young men and women dyeing Indigo. ‘Come to learn Indigo dyeing?’ he asks with a smile. I take out my laptop, ‘put your hand in’ he says instead, ‘and turn the yarn 50 times’. I wet the hank of cotton yarn, and sit down amongst the other dyers. Unpractised as I am, I lose count after 37, but Salim tells me when I can stop, he can see when the colour is right. Do you keep count? I ask the girl sitting next to me, curiously. ‘I used to’ she says, ‘now my body knows how long it takes, so the numbers disappear from my mind’. I reflect later, on how to write the recipe for Salim’s Indigo, and who to write it for. 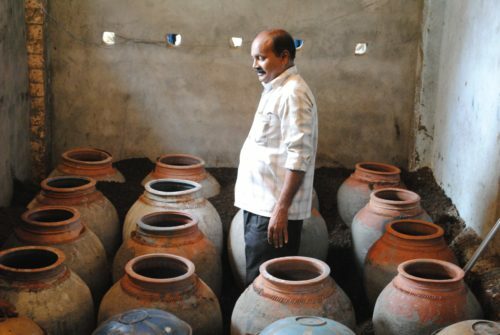 The underlying chemical principles of the traditional fermentation Indigo vat have been written up extensively by scholars and scientists. The aim of my own analysis was to establish that Salim like many other master dyers before and after him has indeed mastered the principles of Indigo dyeing. How does one establish that, without explicating his knowledge in scientific terms? Yet, even if I were to explicate such a recipe, Salim himself would not use it. Rather, he engages his material knowledge of Indigo as he problem solves, or sets up a new vat, or uses new materials to bring forth a resplendent blue time after time. Where then does the knowledge of the underlying principle reside in his practice? I do not yet have an answer. All I can speculate is that the knowledge of the principles governing Indigo are known by Salim much like the numbers themselves are known in the dyeing: when dyers learn to count on their bodies, the numbers on the piece of paper disappear. Much like a weft thread woven through the warp, sometimes visible on the surface of the fabric, and at other times stabilised below the threads, Salim’s knowledge too is always present, sometimes visible and enumerable, and at other times invisible and embodied. Annapurna Mamidipudi was trained as an engineer in electronics and communications, in Manipal, in South India. She had set up and worked for over 15 years in an NGO that supported vulnerable craft livelihoods where before completing her doctoral thesis titled “Towards a theory of innovation for handloom weaving in India” in the University of Maastricht in 2016. She is currently a visiting post doctoral fellow at the Max Planck Institute for the History of Science. She is a member of the NGO Timbaktu Collective’s executive committee, which works in the drought prone district of Anantapur in Andhra Pradesh to support women farmers and trustee of the Handloom Futures Trust, in Hyderabad.